#1. Lake Marian, Humboldt Range, Nevada. 11 x 22, oil on canvas, relined. "Gilbert Munger" lower right. 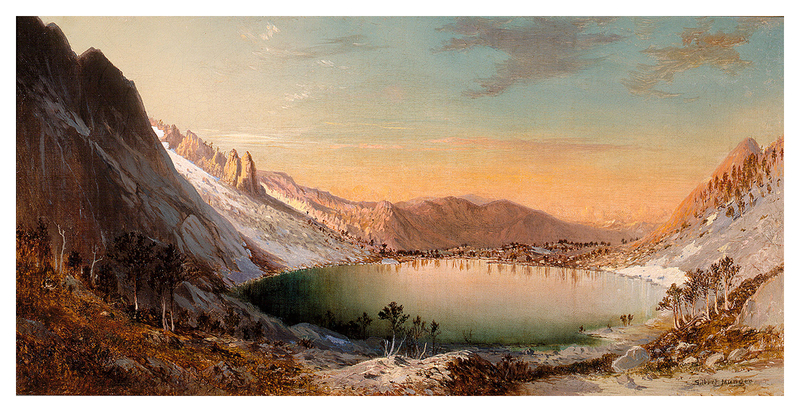 This painting closely matches Plate II in Systematic Geology (see #145), which is based on a Munger sketch. From Montrose Galleries, Fredericksburg VA, in 1992 to a private collection. See ad in American Art Review V, 1 (Spring 1992), p. 74. IAP 78040003. Image from author's photo.